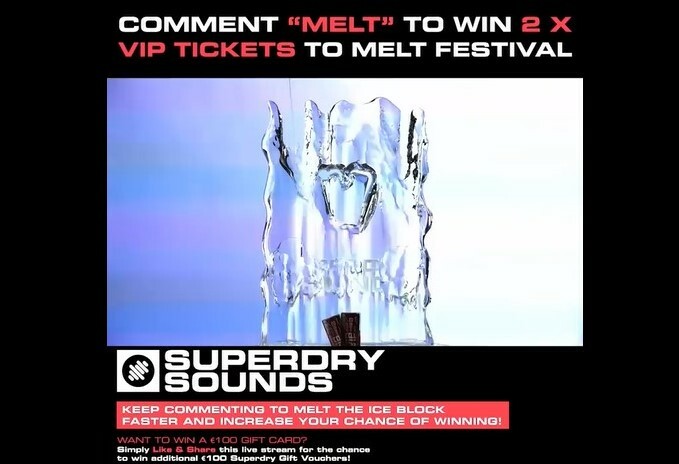 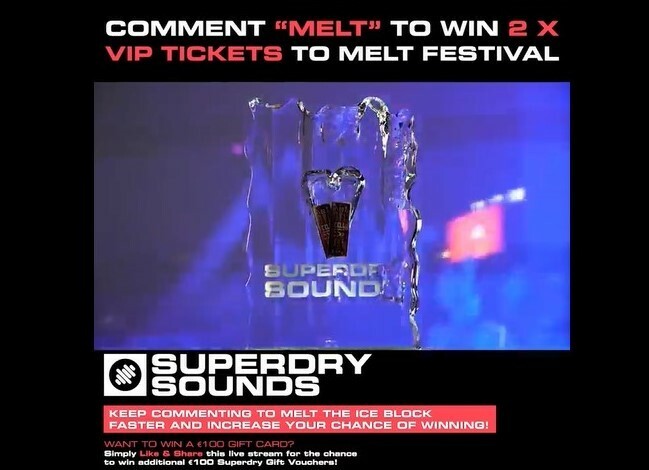 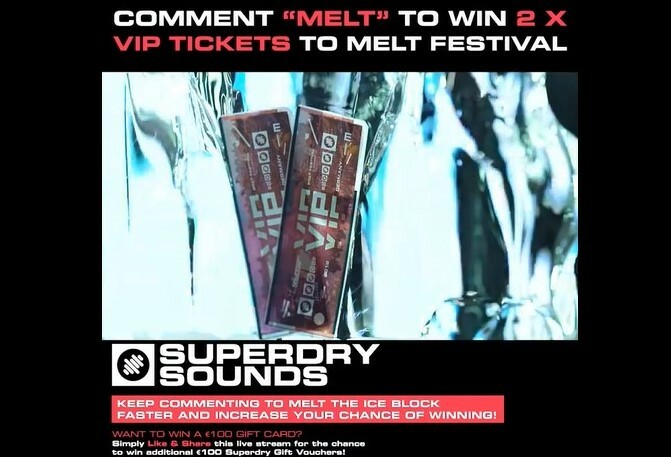 On behalf of Superdry Sounds, Social Chain contracted Icebox to design an ice sculpture for a live interactive ticket ‘ice melt competition’ on social media. 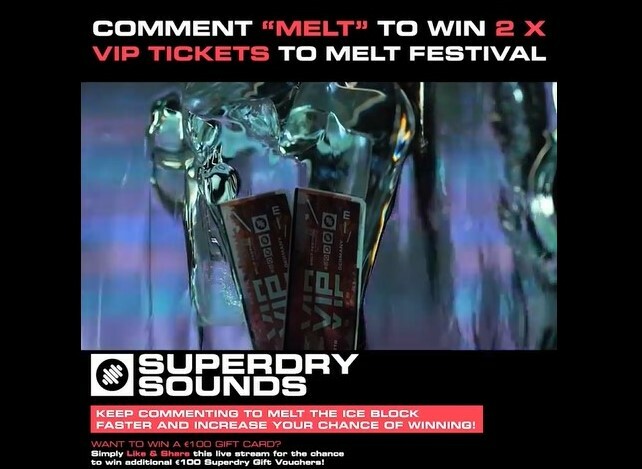 Facebook followers commented ‘MELT’ on a live video for a chance to win 2 VIP Festival tickets. 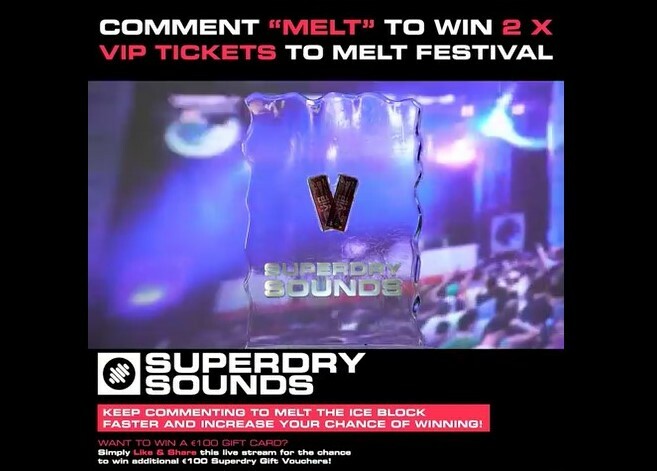 The competition attracted 18k views, 2.7k comments and 44 shares. 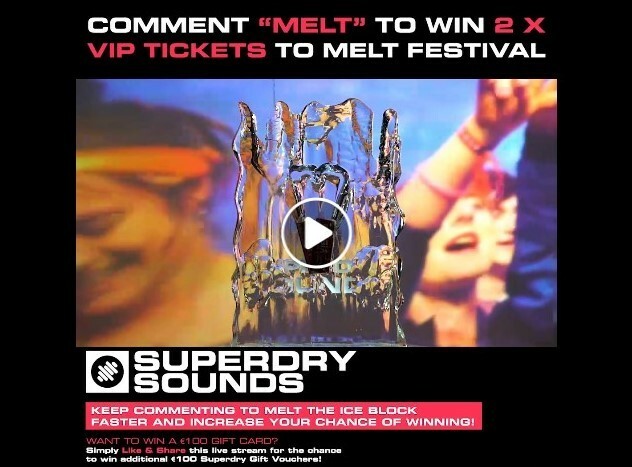 Click here to view the ice melt video.